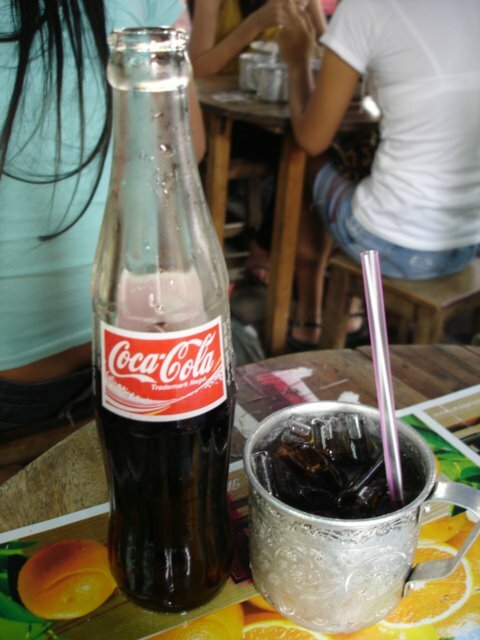 This is street food heaven for me. Today’s special (for me) was the duck noodle soup. 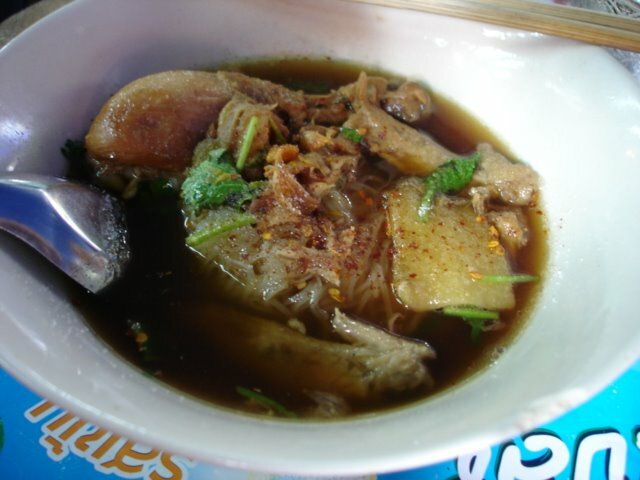 Oodles of smooth rice noodles, covered in a dark tasty broth and topped with a full duck drumstick. Add to it a sprinkling of chilli powder, sugar and spicy chilli dip (as the Thais do) and the dish evolves in one tha t is oh so full of flavour. 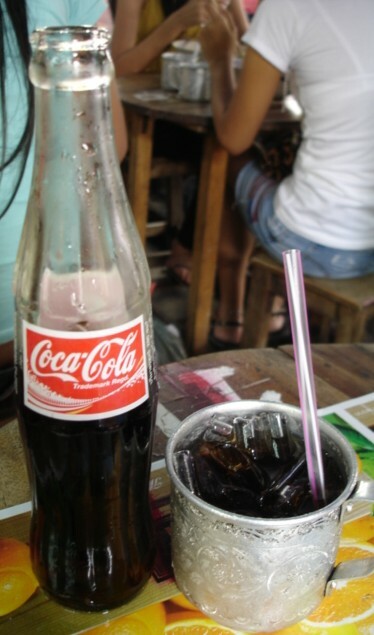 I also love the drinks they serve here – coke out of glass bottles and poured into traditional metal mugs. 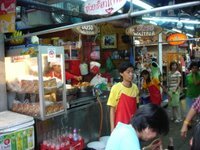 Total cost of the noodles and drink: 40baht / US$1.